Andre de Villiers has a knack for large folders like the imposing Hummer flipper. 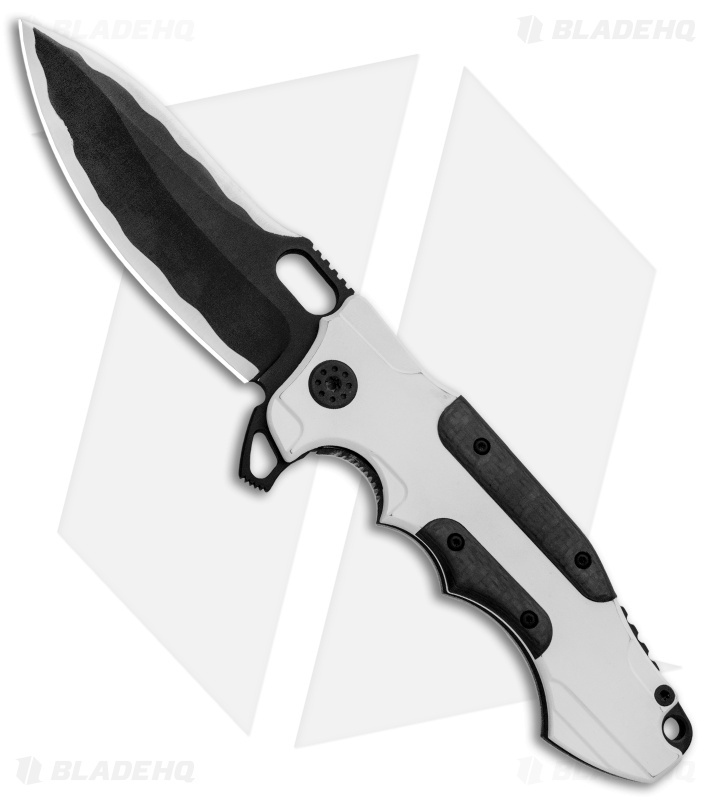 This knife sports a two-tone black/satin blade with a swedge and a long, rounded cutting edge. 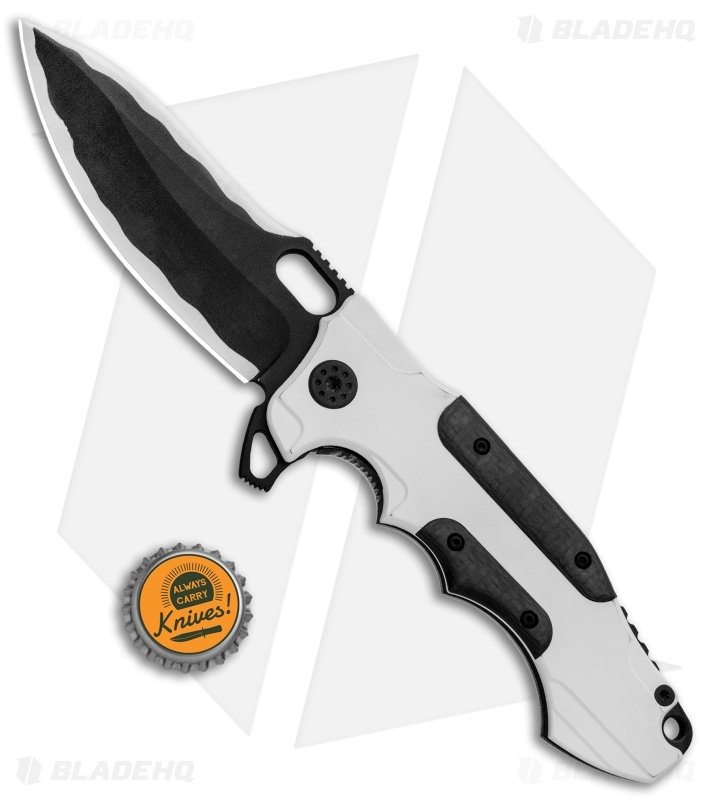 Smooth carbon fiber inserts set on a white coated titanium handle provide stunning visual contrast. 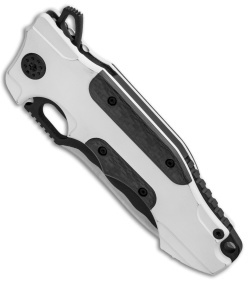 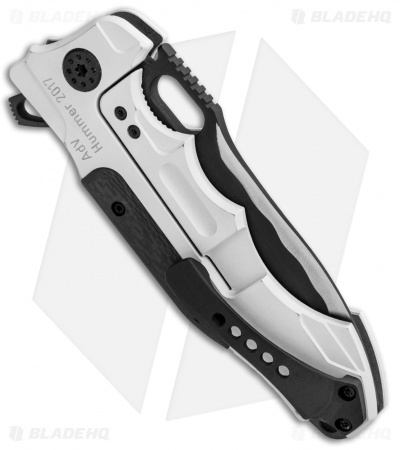 The titanium frame lock is outfitted with a steel tab/overtravel insert and a milled pocket clip for secure carry.